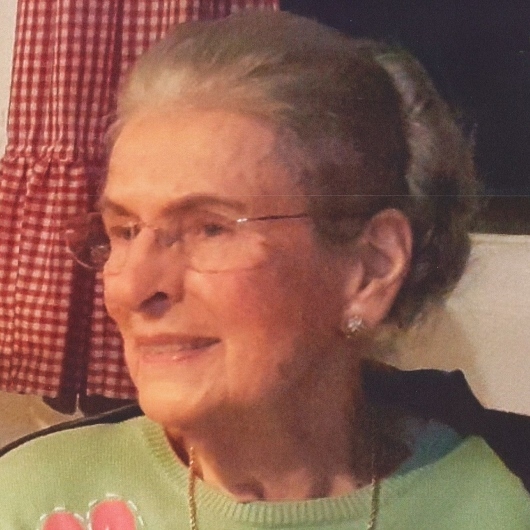 Virginia Christine “Chris” Samelson, age 91, passed away November 6, 2018 in Corpus Christi, TX. She moved to Corpus Christi, TX in 1943 with her family from Louisville. While working at the NAS Corpus she met and married Lt. Jerome Donald “Jerry” Samelson on October 5, 1946 and was married to Jerry until his death on June 14th, 2003. Jerry was in the Navy for over 25 years and they lived all over the world, making lifelong friends. After Jerrys death Chris became good friends with Art Brown and his family. In 1964 when Jerry retired from the Navy, they moved to their house on Rawleigh Drive in Corpus where mother lived till her illness. Being a true Southern girl, she was a great cook and enjoyed blackeyed peas, greens, cornbread and buttermilk. True to her Southern roots when she didn’t feel well cornbread and buttermilk was her cure. Chris was a great seamstress making table cloths, drapes, pillow covers, etc. and made many of her beautiful blouses, pants and dresses. In addition to her beautiful dress, Chris went to the beauty parlor every Saturday and always looked great. Chris was a phenomenal bridge player to say the least. She was a Life Master and won many tournaments all around the country. She was very superstitious about which cards she used and which chair she sat in. She had the ability to keep track of all suits, down to the lowest number. When asked how she was able to keep track of all suits she replied – “PAY ATTENTION”. She always enjoyed a glass of wine and when she couldn’t have any more drinks we joked that she wasn’t feeling well due to her low alcohol content. Chris paid for just about every channel you can have on TV, but rarely watched anything but Fox News. Although she claimed to be an Independent, but anyone who has ever talked politics with her would disagree with that- she was in fact a Republican. She loved to talk politics, so it was very ironic she passed away on Election Day. When she got sick and was having trouble sitting upright, we joked that she was leaning to the left- we all enjoyed a good laugh. A visitation will be held from 12:00 p.m. to 1:00 p.m. on Friday, November 9, 2018 at Seaside Funeral Home Chapel. A funeral service will be held at 1:00 p.m. that same day. Interment will follow at Seaside Memorial Park. She is survived by her daughter Lydia Rose Samelson and her son Bill Samelson, both of Corpus Christi TX. The family would like to thank Sam and her staff at Garden House Residential Assisted Living for their loving care during the past few months.